Change detection allows you to automatically highlight the differences between two images in the same area if they are properly orthorectified. We'll do a simple difference change detection on two images, which are several years apart, to see the differences in urban development and the natural environment. Change detection algorithms can become quite sophisticated. However at the most basic level, you can do a simple, literal mathematical difference between the pixel values in the two images. That basic image difference is exactly what we'll do in this example. 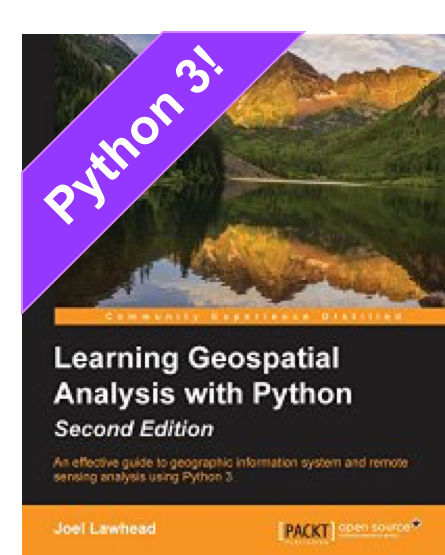 This recipe is from my book, the"QGIS Python Programming Cookbook". 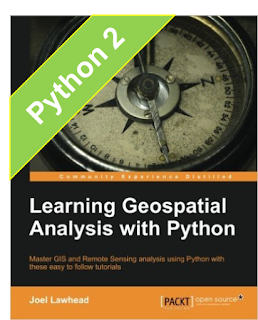 I show how do the same operation using the gdalnumeric module outside of QGIS in my other book "Learning Geospatial Analysis with Python". We're going to start with two aerial images taken several years apart. We'll subtract the before image from the after image and and visualize the result using a color ramp. The before and after aerial photos we'll use for this recipe. beforeEntry.ref = beforeName + "@1"
afterEntry.ref = afterName + "@2"
You should end up with the following image. As a general rule of thumb, green shows area of change where something was built or trees were removed, and purple areas show where a road or structure was likely moved. There is lots of noise and false positives. But the algorithm does very well in areas of significant change. If a building is added in the new image, it will be brighter than its surroundings. If a building is removed, the new image will be darker in that area. The same holds true for vegetation, to some extent. The concept is simple. 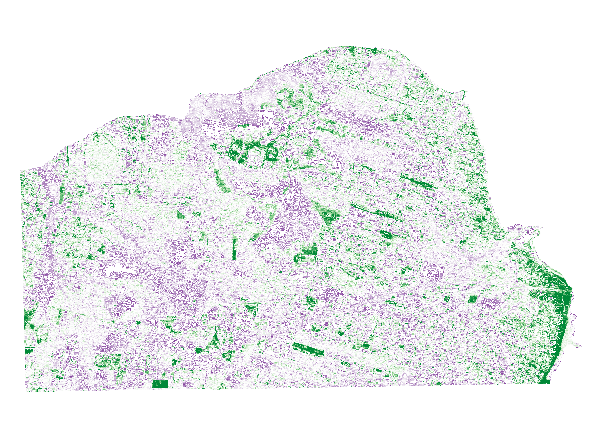 We subtract the older image data from the new image data. Concentrating on urban areas tends to be highly-reflective and results in higher image pixel values. it really works for me..it is very helpful in land use change analysis in urban areas.. but i would just like to ask if we create a shp file out of it?